In our last blog post, we looked at how empowering your employees can have a positive impact on customer experience. But there's another compelling reason why, as a restaurant owner or general manager, you should empower the team you have working for you. It’s simple: you can't do it all yourself. The one-man army approach might work at first, but as your restaurant grows it could very well be your downfall. Instead of trying to fight a losing battle, why not make use of a military technique known as Commander’s Intent? Leaders and managers in the business world have started applying this concept for empowering their subordinates. According to Harvard Business Review, it’s an ideal tool for “a chaotic, dynamic, and resource-constrained environment” – which certainly could describe the restaurant industry! It seems, then, that the first step toward empowering your employees comes with clear direction and strong leadership. In addition to communicating his intent, a strong restaurant “commander” builds a successful team by first training and equipping his managers, and then empowering them to follow suit. The question is: are your “lieutenants” – that is, the members your restaurant team – able to say the same? Imagine what this kind of empowerment could mean for you and for your restaurant! In case you missed it, part one of the series can be accessed by clicking here: How to empower your restaurant staff without comping your profits [Part 1]. 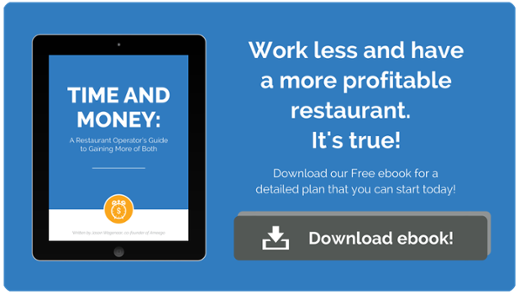 Looking to improve the bottom line at your restaurant without working harder in the process? Download our ebook [here] for great tools and insight to help you work smarter.